Take 3 workshops from each category and earn your badges! 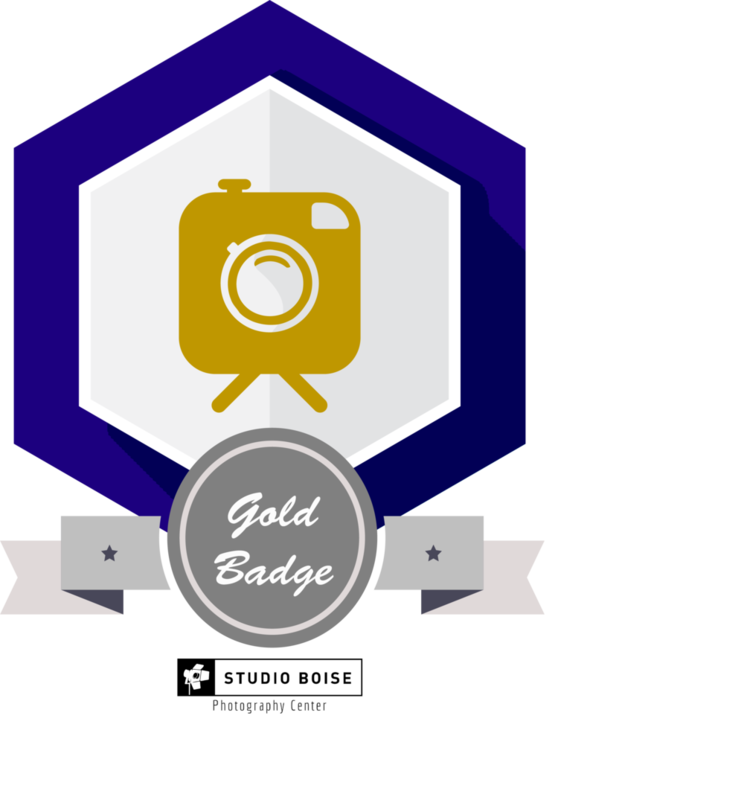 Our badge program proves that you have knowledge, experience, and skills in various photography topics. Add the digital badge to your website to show your hard work and accomplishments. All badge certifications come with: a digital badge, a physical badge patch, and one free hour in studio of your choice. Take 3 SILVER workshops and earn your badge! Take 3 GOLD workshops and earn your silver badge!